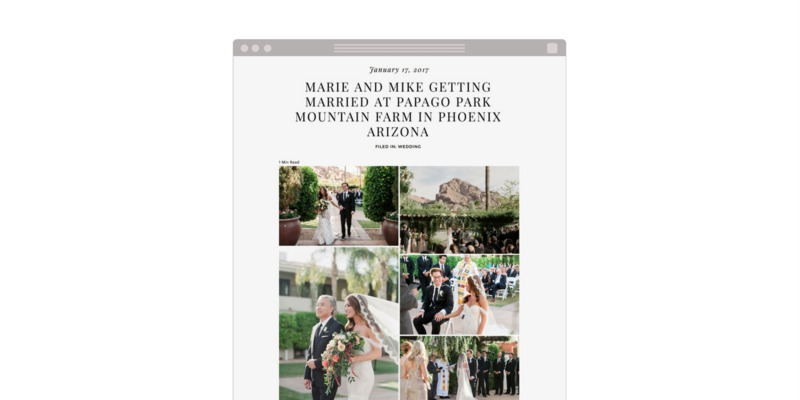 It's easy to get masonry style galleries in a blog with the help of a Wordpress plugin. Choose Create Gallery from the left sidebar of the media library and click to select your images. 4. Set the Display setting to Masonry. The other settings are adjustable based upon your needs. Our snapshot shows suggested settings for a 2 column setup. 5. Insert the gallery into your post. This plugin may affect galleries in older posts. Be sure to check your old posts if you use the Wordpress Gallery feature or if you have another gallery plugin. You can edit the gallery settings at any time by clicking the edit icon that appears when you select the gallery in the edit post view. If you experience issues when uploading photos to your blog after activating this plugin please refer to the Galleries by Angie Makes support article for disabling image sizes that you don't use.